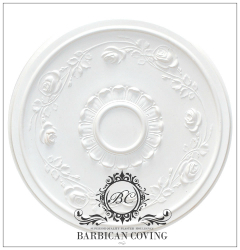 The Juliet Plaster Ceiling Rose features delicately cast roses circling a stylised fern leaf centre. 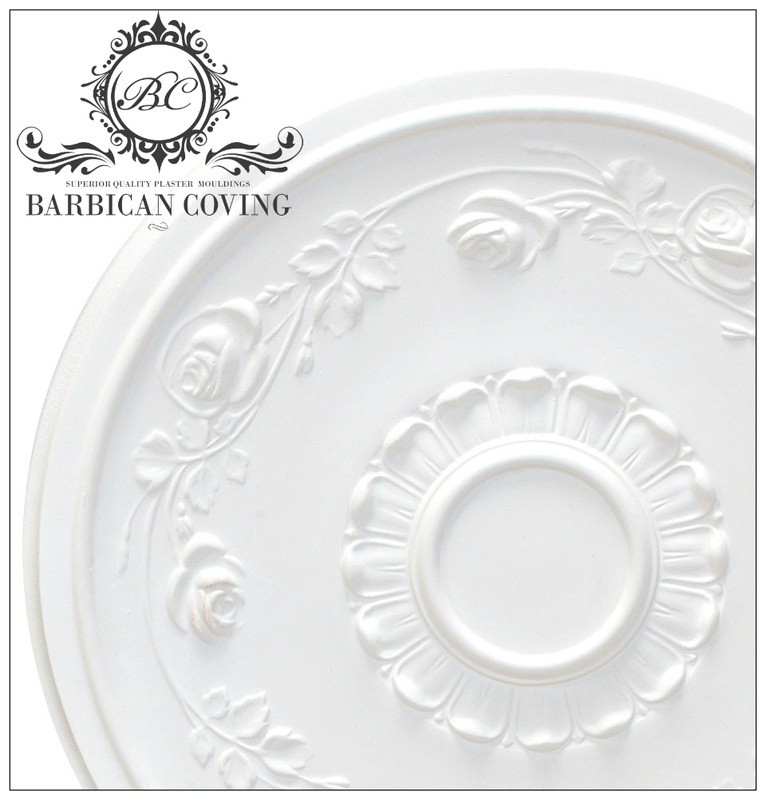 Named after Juliet Capulet from the Shakespearean master work 'Romeo and Juliet', and like it's namesake this beautiful rose is bold, delicate and enchanting! 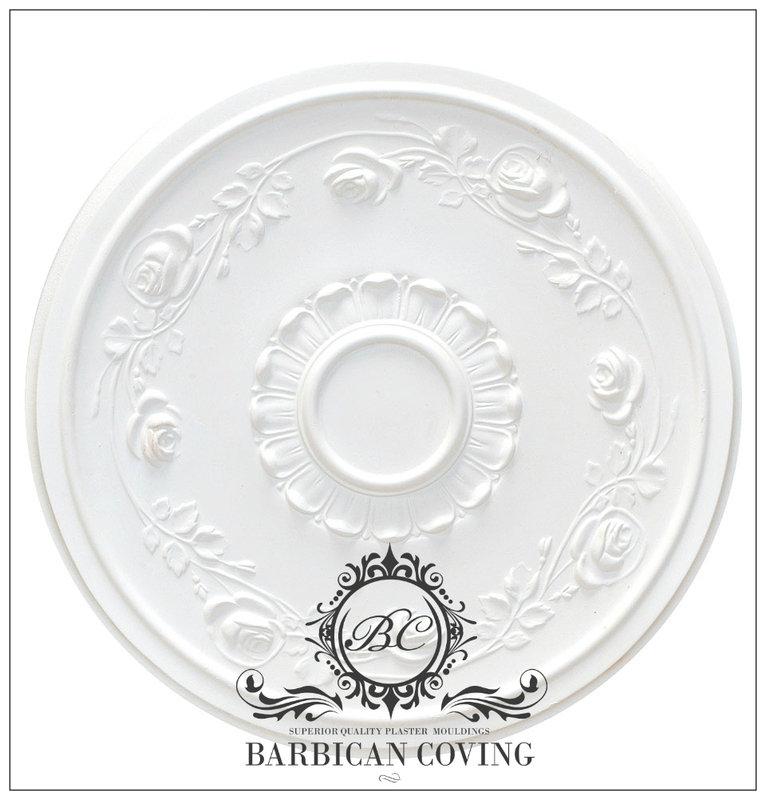 The Diameter of this ceiling rose is 620mm or 25 inches.